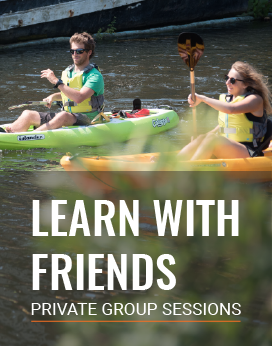 Intrepid explorers that want to share the ultimate paddleboarding experience! 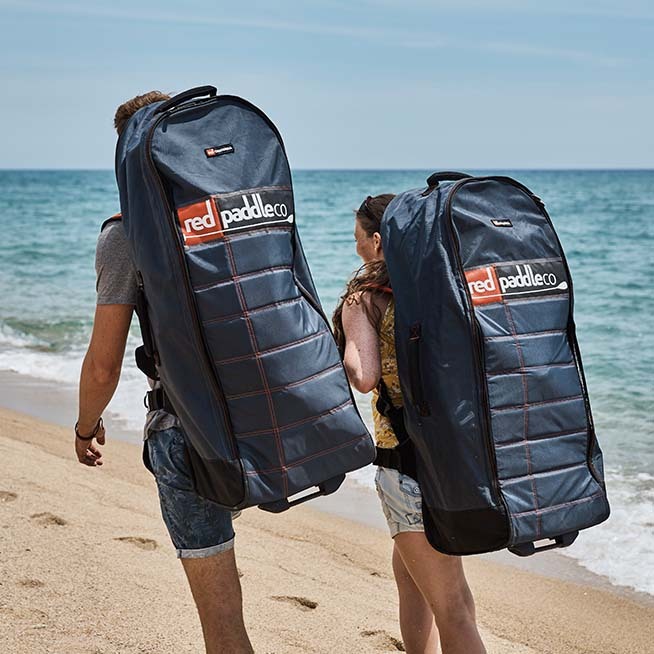 Introduced into the Red Paddle Co range for 2018, the Voyager Tandem allows you to travel to even the most distant locations with a partner. 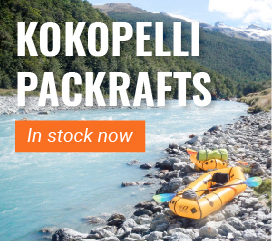 Designed for two people who want to bring enough equipment along to turn the journey into a gratifying experience. Alternatively, untie the central bungee and there is plenty of space for a 3rd smaller passenger. With a huge 723 litre volume, there is plenty of capacity in the board so you really can take everything you'll need for your epic adventure! 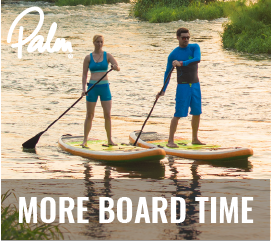 The 2 Person Voyager Tandem SUP features 7 soft touch carry handles, and two luggage tie-down areas so you can keep your equipment safe and secure. Based on the single person voyager range, the tandem shares all of the same technology so you can head off on your adventures while carrying enough luggage to support two people. 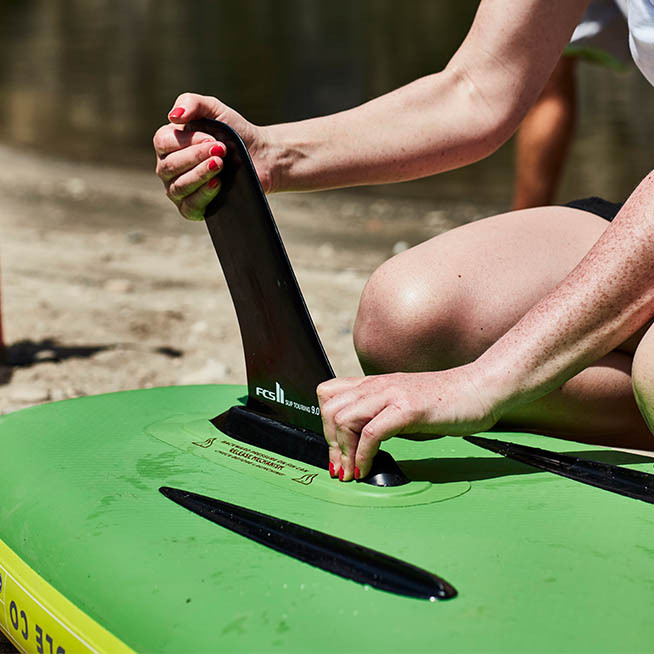 All Red Paddle Co paddleboards have cargo attachments in the right places for efficient carrying of bags and gear. The Voyager Tandem is no exception. The cargo attachments on the nose and the centre give enough space for 2 people to go away with gear. Untie the bungee from the middle and there is a space for an extra smaller rider. 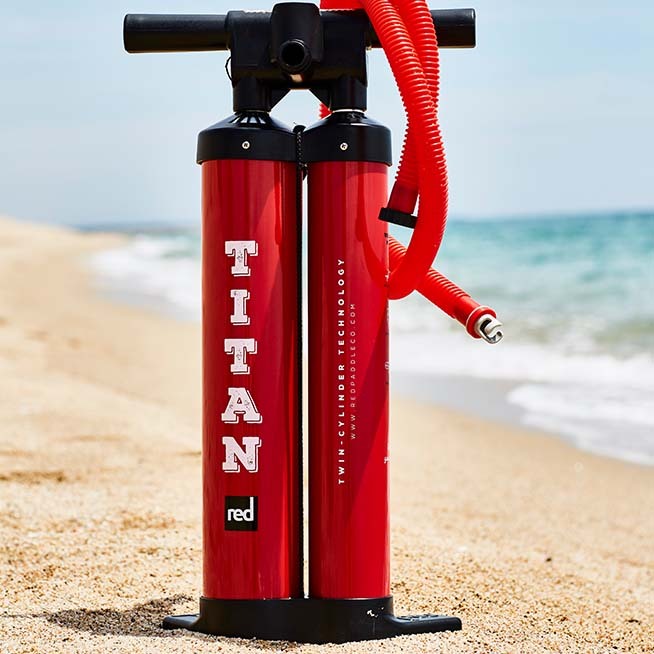 Titan: the best pump on the market. The Titan Pump's twin chambers will get you out on the water in no time. The Tandem package also includes an extra High-Pressure pump, to make use of the extra valve (and rider!) to get the board inflated quickly. 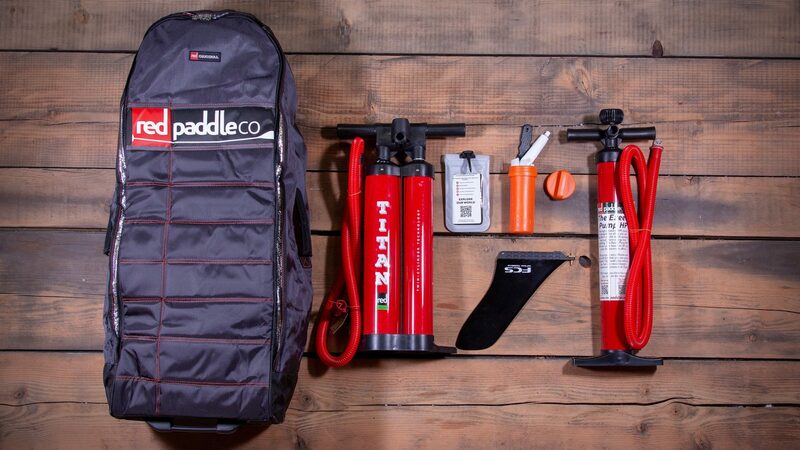 After covering over 100,000 miles with their boards, Red Paddle Co had a really good idea of what was needed from the ultimate bag. Integrated wheels make travelling through airports a pleasure.The hidden back pack system can be stowed when not in use and is super comfy when you need to put the board on your back.The front loading system makes packing and unpacking super simple.The internal straps make sure the board stays put while in transit.This bag truly is the ultimate solution for travel and storage. 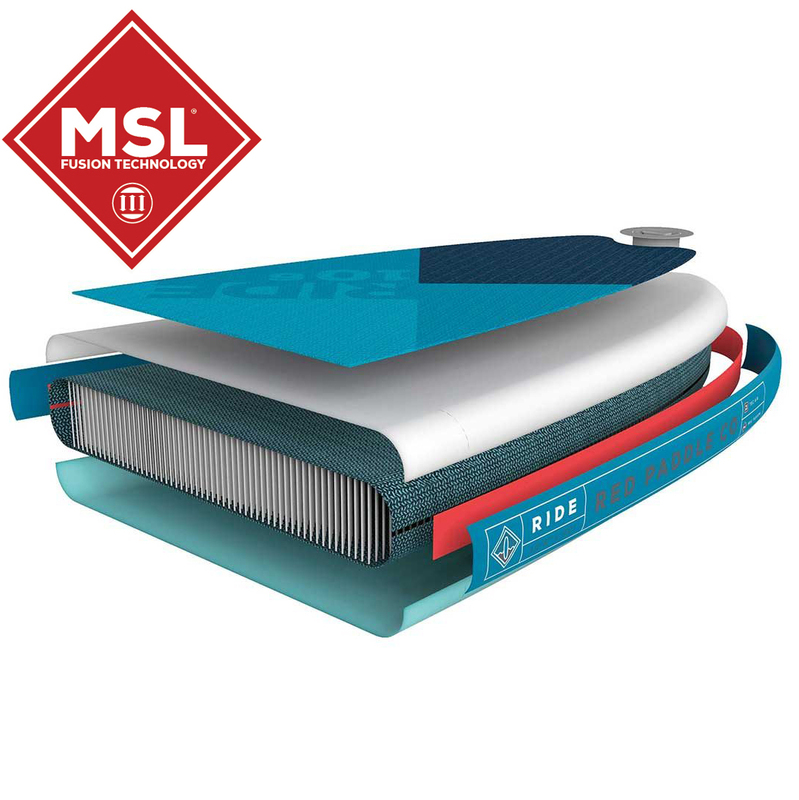 MSL fusion composite and airtight coating, MSL involves fusing a second layer of hard-wearing polymer to the drop-stitch core at the raw material stage, removing hand glueing errors. The high-tech industrial process saves weight whilst making the boards stiffer at lower pressures. With the third generation of MSL material now in use, the boards are more durable than ever.